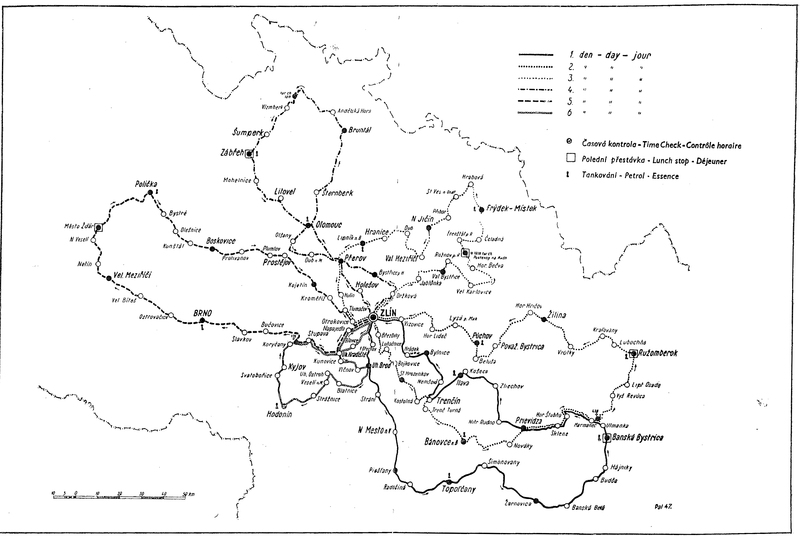 After a 7 year break caused by the World War followed by austerity in the years immediately following the war, the International Six Days Trial recommenced in 1947. The 22nd edition of the ISDT took place in Zacerecna Zprava, Zlin, Monrovia in the post war Eastern European state of Czechoslovakia on the 16th to 21st of September. 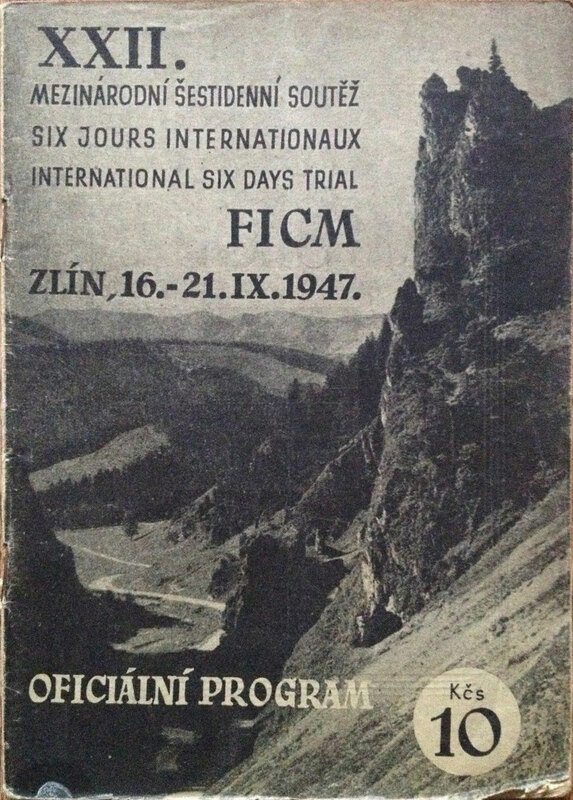 image – cover of the official event programme for the 22nd ISDT 1947 16 – 21 September 1947 held in Zlin in Czechoslovakia (eBay). If you have a copy of this programme we would always appreciate a scanned copy for our information and hopefully that can be made available via the site for others with an interest in the event. Photo – Czechoslovakian Trophy Team with their Jawa Motorcycles and Sidecar. All this thanks to ‘STB’ again. Trophy CSR Team with Dusil, Simandl, Stanislav & Bednak on machines from the left. The first ISDT to be held after the war where Europe’s rebuild and fuel shortages had minimised the return for many sports to normality. 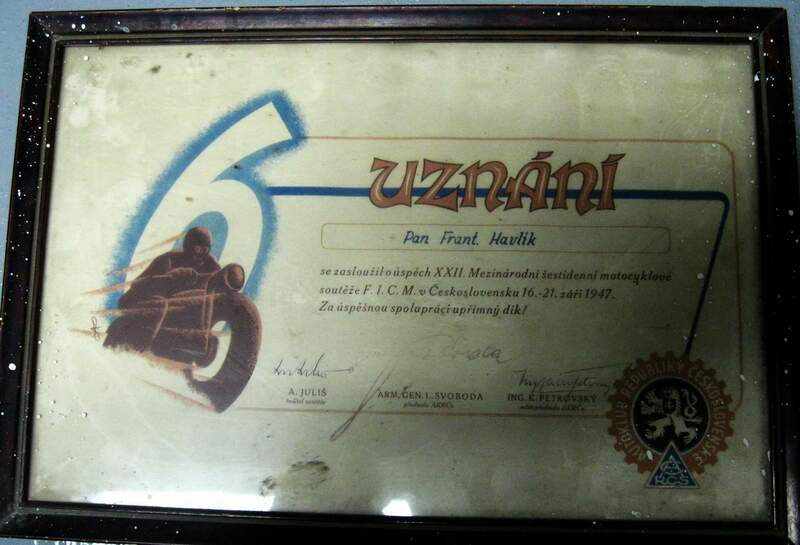 It was held in Zlin in the region of Monrovia in Czechoslovakia. Any explanation of the above would be welcome.